In the countryside of Southern Italy, ancient farmhouses with centuries of history are being reimagined as hotels. In an idyllic region where fresh burrata and mozzarella are as plentiful as organic vegetables, olive oil, and rare varietals of wine, it’s easy to see why the heel of Italy’s boot is experiencing an uptick in tourism. 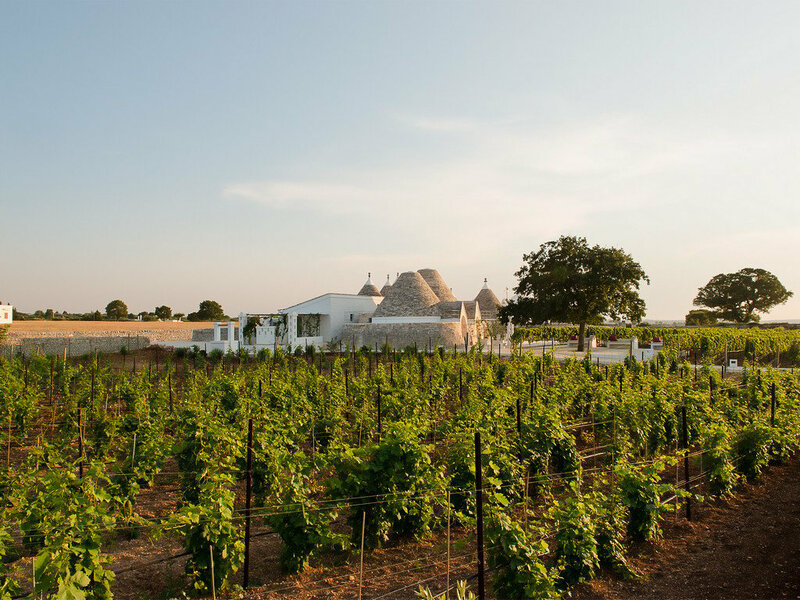 Whether you’re a traveling epicure or you seek a wellness retreat near the Adriatic Sea, here, Puglia’s top 8 masserias for your next Italian getaway. 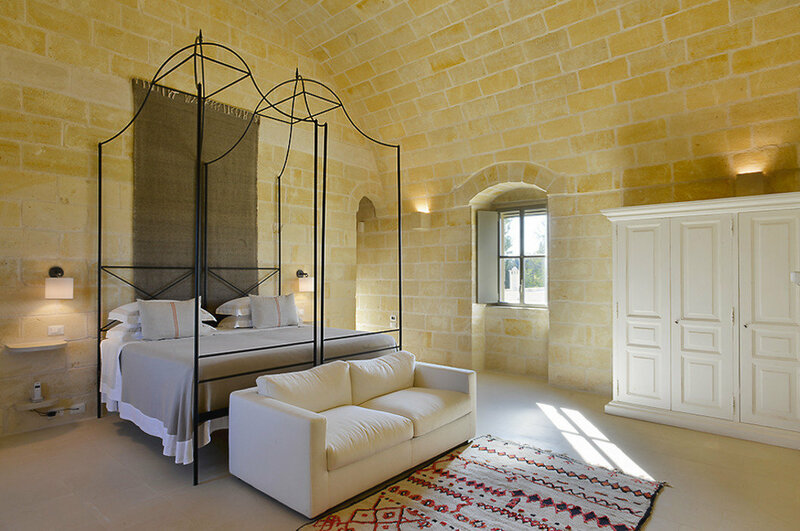 Located near Puglia’s hilltop city of Ostuni, Masseria Moroseta’s sandstone structure stands amidst 12 ethereal acres of olive grove. 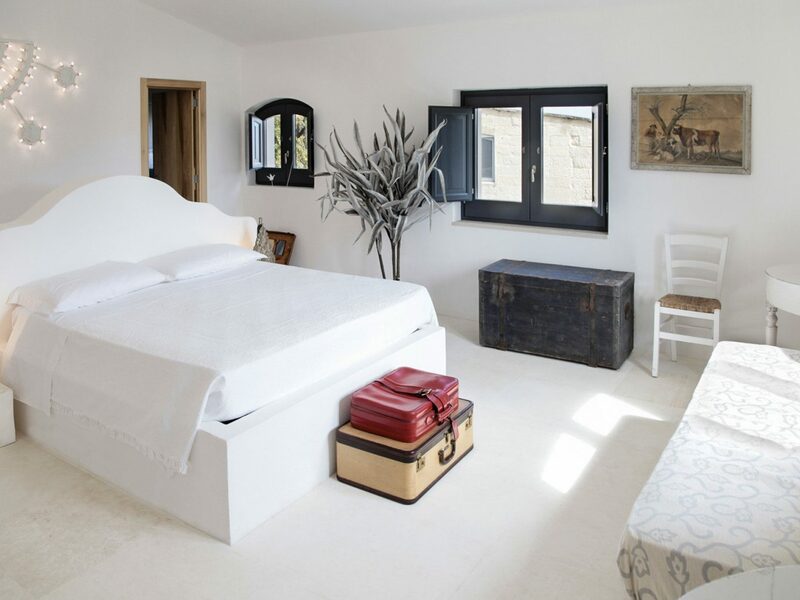 A drive along an old country road leads to the entrance of this six-room bed and breakfast; here, you’ll find the same white-washed façade as those decorating Ostuni, but with modern architecture, solar power, and lush interiors. 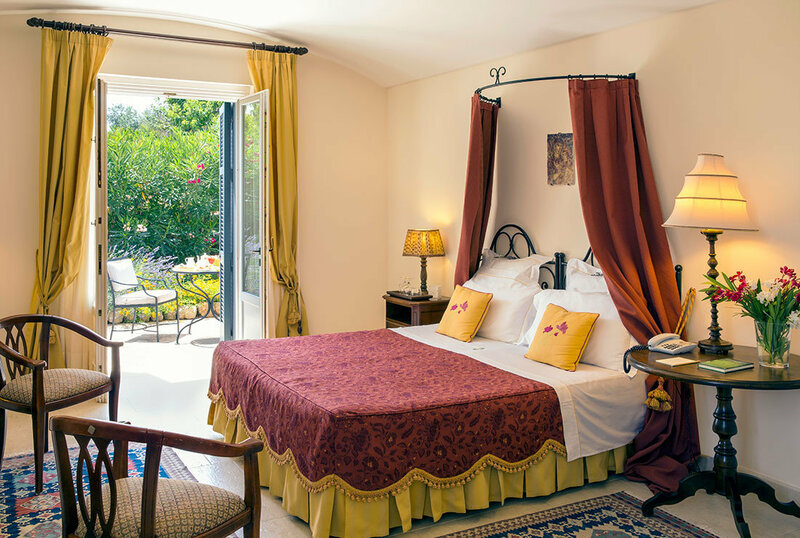 Overlooking the Adriatic Sea, the property is flush with orange trees, an organic garden, and blissful privacy. A communal courtyard and infinity pool harnesses the true essence of Pugliese farm life: tranquility and rural simplicity. 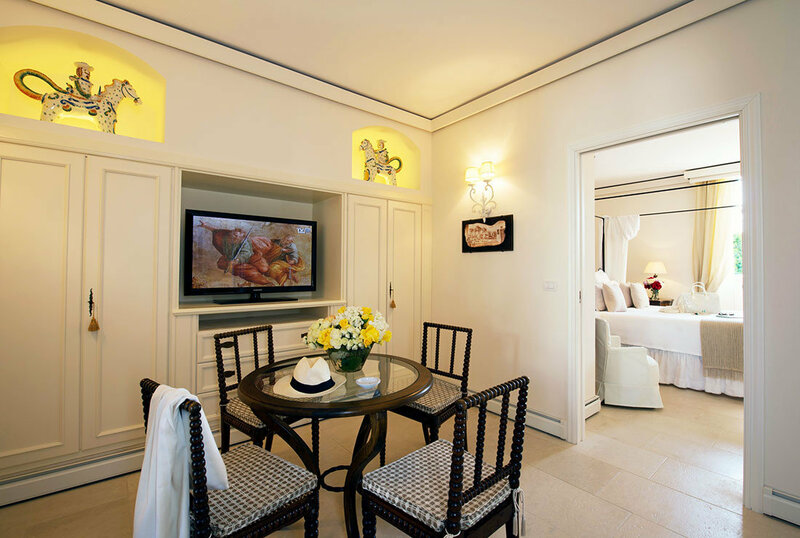 During a stay, expect hearty breakfasts of Italian espressos, fig-topped pancakes, and fruit juices. 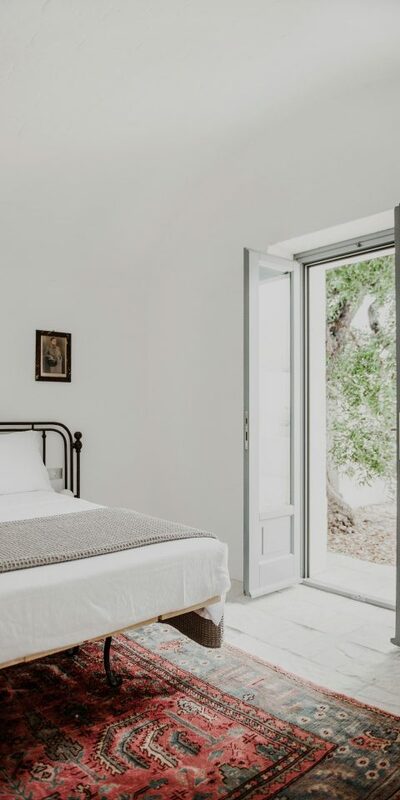 Set atop an ancient cave settlement and in the heart of plentiful rows of olive trees, Masseria Montenapoleone is a fortified masseria dating back to the 1600s. 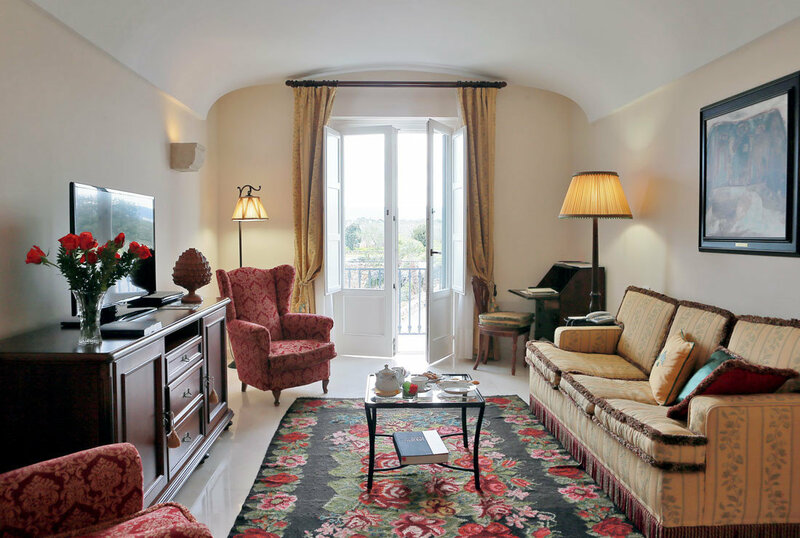 Just 30 miles from Bari, the 22-room property is surrounded by the rolling hills of Itria Valley; just beyond, the prized shores of Salento’s crystalline beaches await. With a biodiverse landscape and a farm-to-table approach, the property’s restaurant sources many of their ingredients from the masseria’s own sustainable organic farmhouse, including figs for sugary jams, olives for made-from-scratch oil, and grapes for the property’s blend of Susumaniello, a red wine varietal only bottled in Southern Italy. 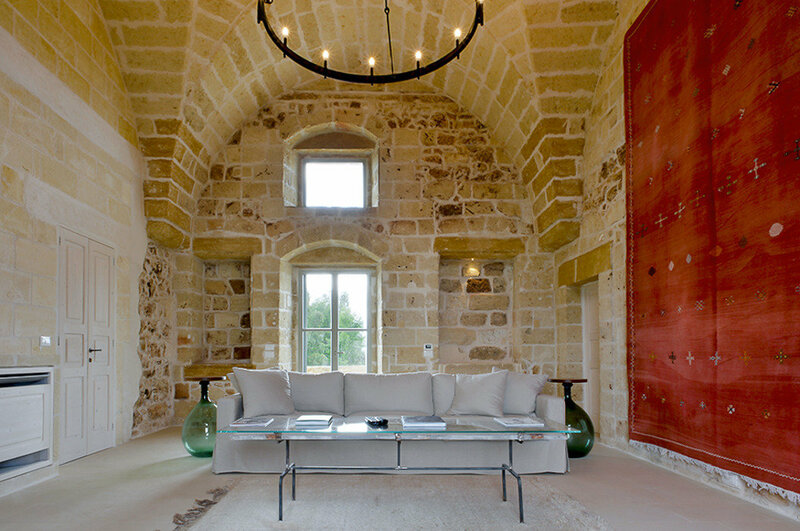 Built in the 14th century as a fortress to house the Knights of Malta, Masseria San Domenico is nestled in Savelletri di Fasano on the coast of the Adriatic Sea. 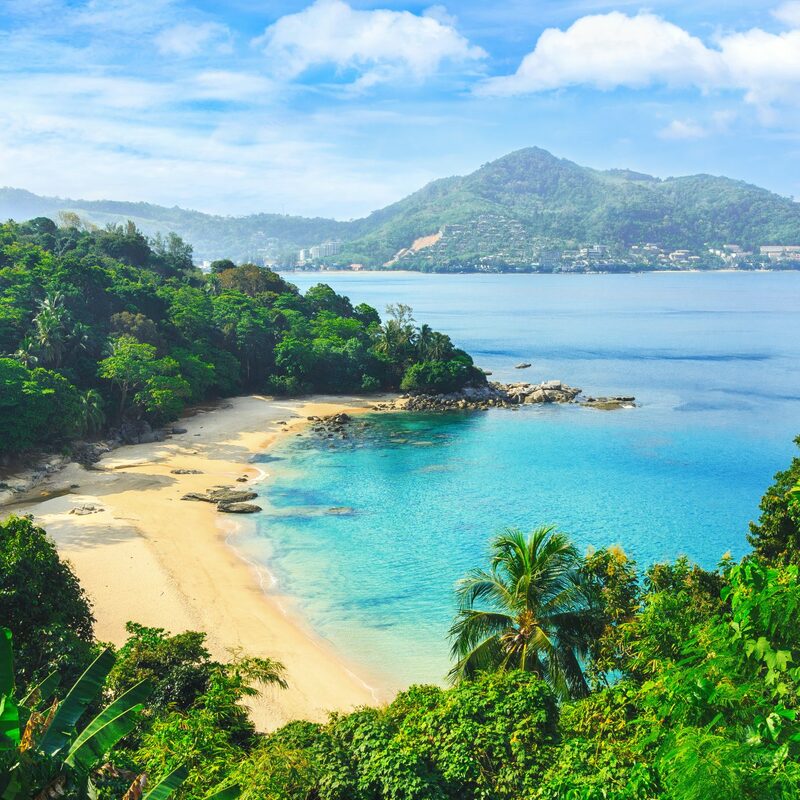 The boutique property combines intimacy with luxurious facilities like an outdoor saltwater infinity pool and lush tropical gardens. As one of Italy’s first hotels to offer thalassotherapy treatments, dive into the healing sea water of the Adriatic before venturing to the property’s indoor heated pool and one of fourteen massage rooms. Replete with white stone buildings and a maze of arched passageways and piazzas, enjoy dining at one of four restaurants and playing a round at the masseria’s 18-hole golf course. This idyllic six-room property is set in the countryside of Frassanito, a relaxing respite from the bustling streets of Otranto. 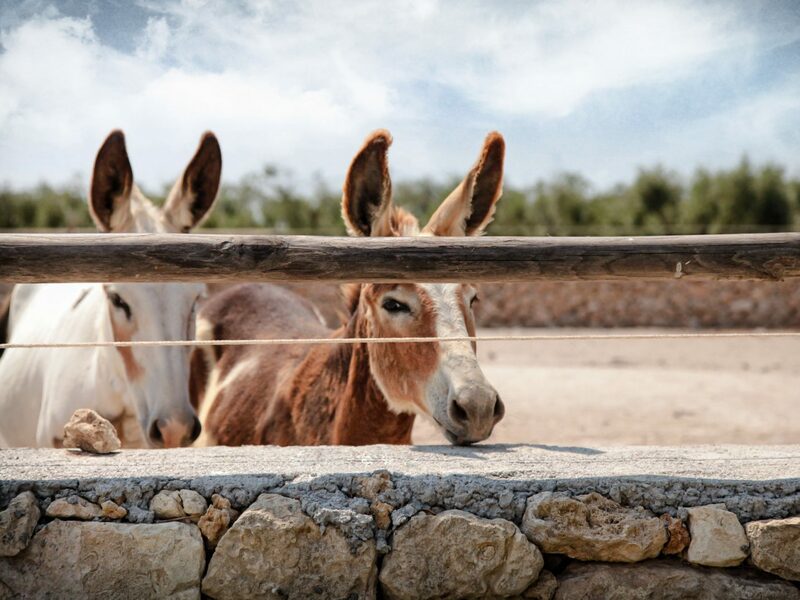 Donkeys and goats roam the farmhouse grounds, fields of wildflowers line the outdoor pool, and the property’s own dogs frolic about the gardens, creating a familial setting only a few miles from Salento’s beaches. During a stay, enjoy a relaxing dip in the heated indoor pool while staying in meticulously designed rooms, each decked with interiors reflective of a rural civilization passed. 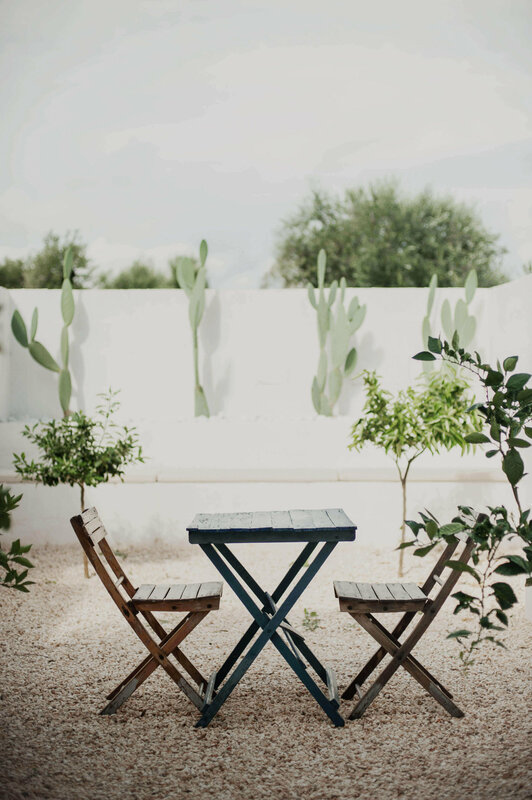 For animal lovers, Masseria Prosperi is an ideal stay, as you’re free to bring your horses and house pets. The property will provide them with housing and fresh forage. 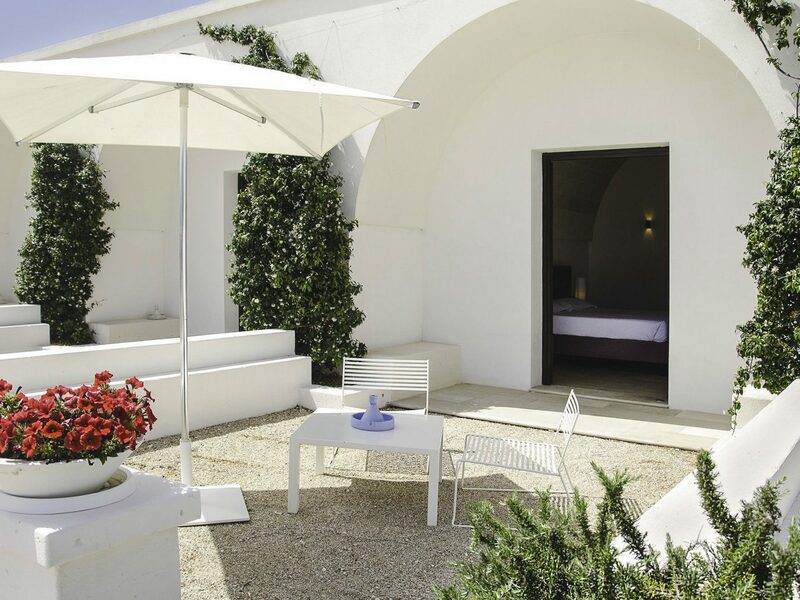 Comprised of the conical, limestone structures synonymous with the town of Alberobello, Masseria Cervarolo is a 16th century trulli farmhouse, the perfect hilltop perch to view the vast outlying plains and the town of Ostuni from above. 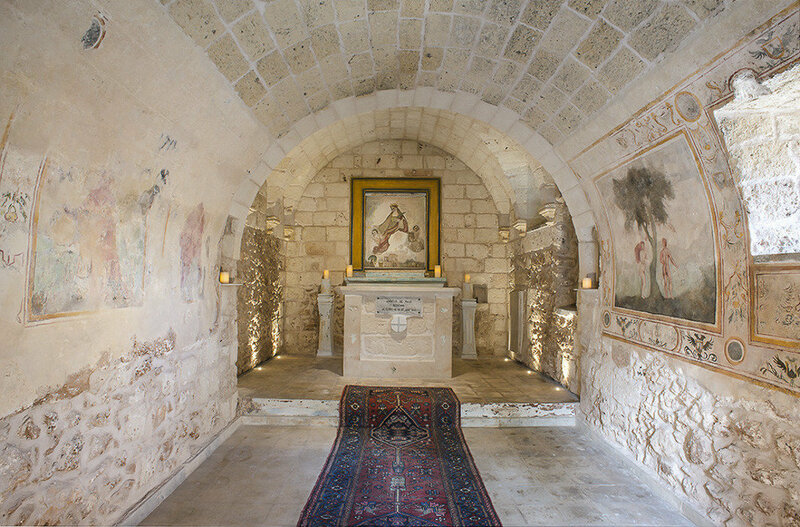 The property is built on a 24-acre estate and includes a small church, which was built in 1798, and is replete with a polychrome Baroque altar and numerous decorative frescoes. 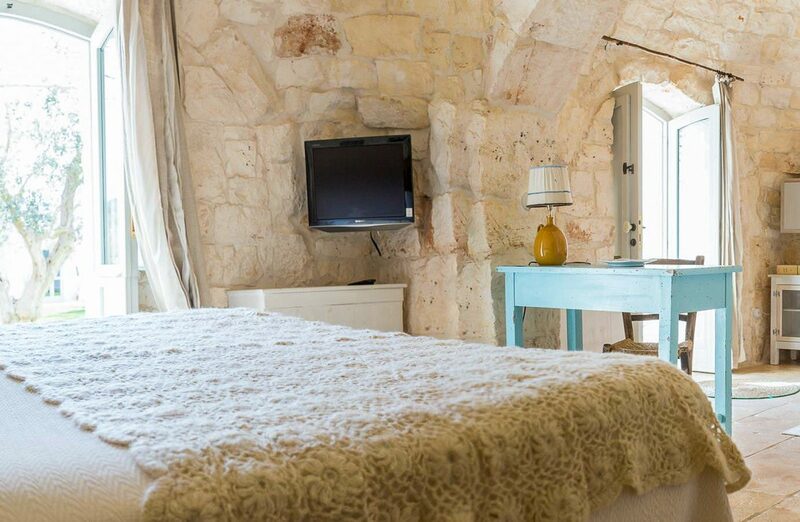 During a stay in one of 17 rooms, enjoy a welcoming atmosphere where traditional stone walls and built-in arches are illuminated by natural lighting of the Apulian sun. 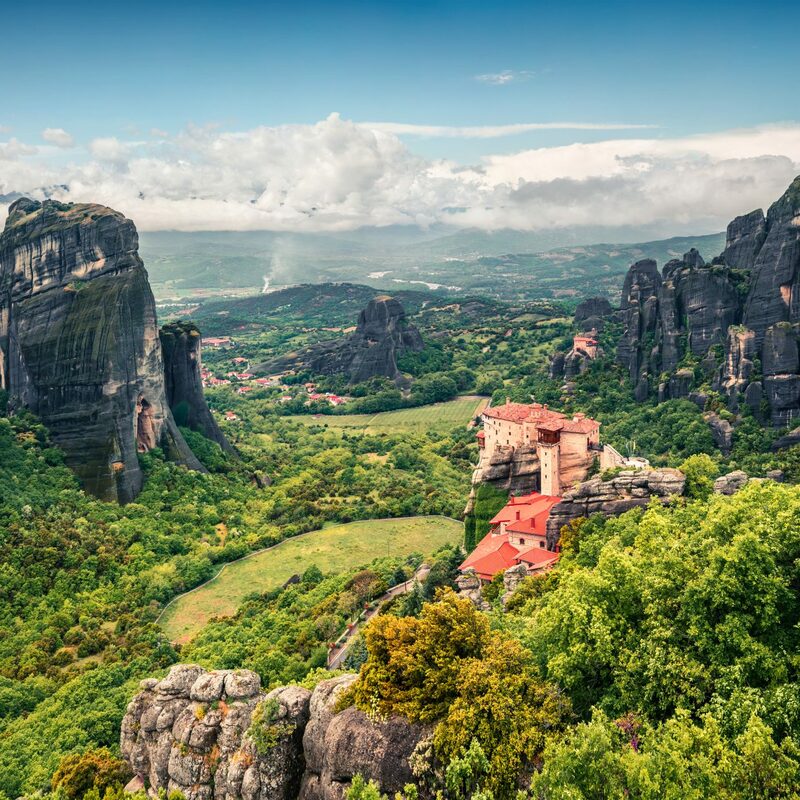 Enjoy garden walks where native plants create a fragrant ambiance of the Mediterranean countryside. Just 10 minutes from Lecce, Puglia’s most popular town, Masseria Trapanà is a 16th century former fortress set amidst 150 acres of olive grove. The masseria’s origins were formed around the Chapel of Santa Barbera, the protector saint of the region, and the estate’s courtyard is even built atop a frantoglio, an ancient olive press still in pristine condition. 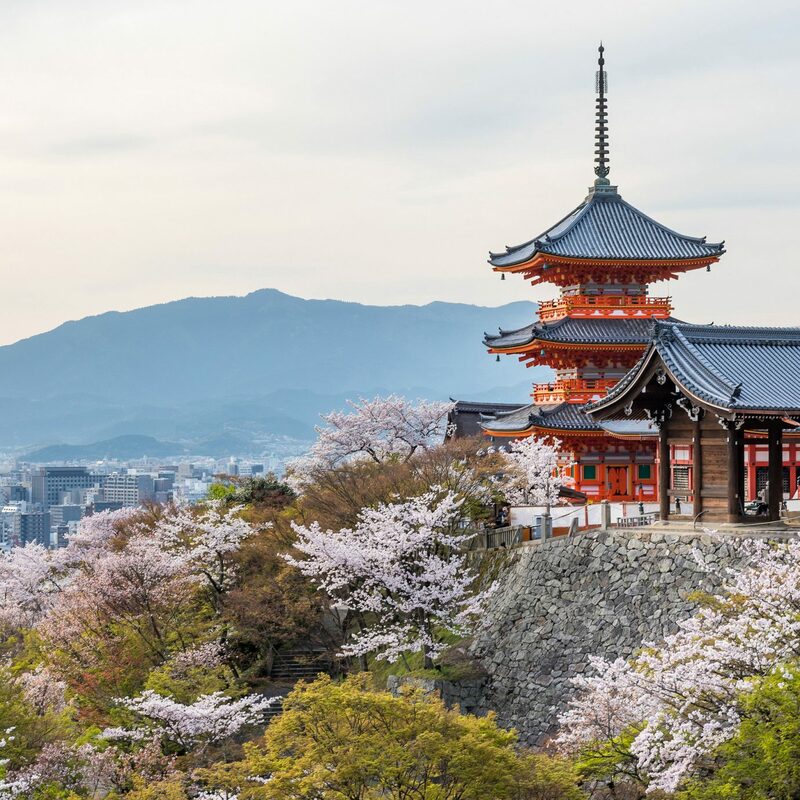 With history all around, it’s easy to get lost in nostalgic reverie in the property’s six gardens, which contain nineteen types of fruits and nuts, including mandarins, oranges, and lemon trees. Relax during garden-side yoga, sunbathe beneath plum trees in the outdoor pool, or rest in one of many hammocks strung throughout the property. 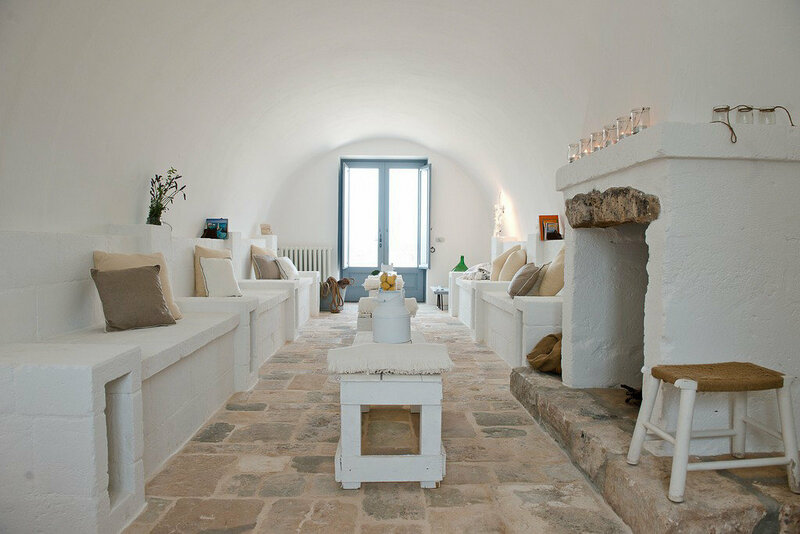 An oasis of peace and tranquility and less than a mile from the Ionian Sea, Masseria Bagnara is a countryside escape where wellness reigns supreme. 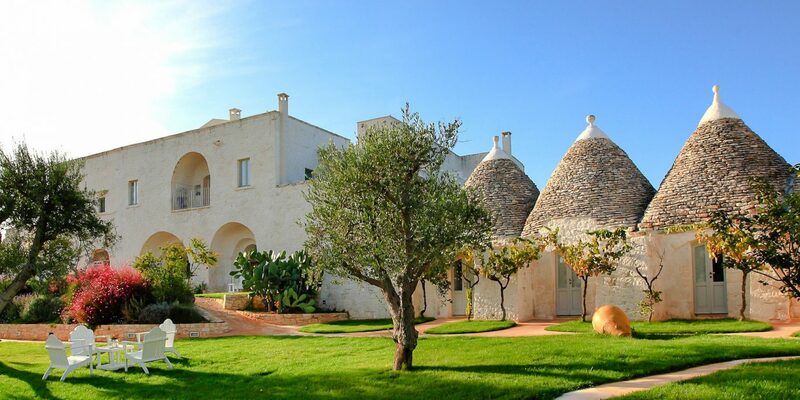 Located in charming Lizzano and set near the hills of Murge Tarantine, both olive groves and vineyards fill the estate, but the true prize awaits at this masseria’s spa. Spend your days soaking out worries at the steamy Jacuzzi, later renewing your body during a traditional hammam experience: a ritual scrub and massage inclusive of fragrant body scrubs made from local ingredients. 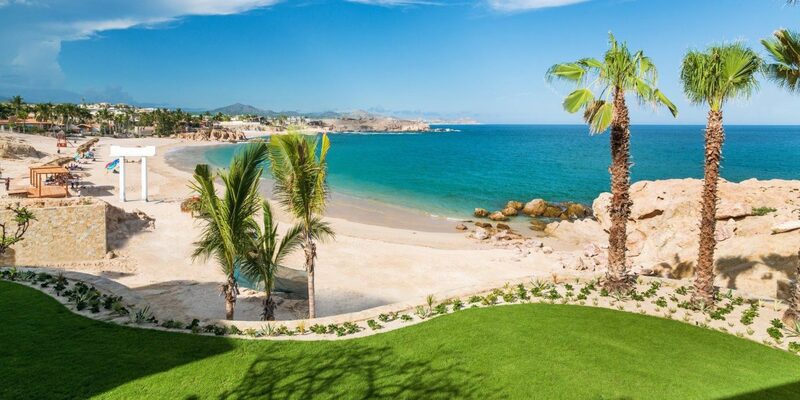 During a stay, inquire about exclusive excursions, including wine tastings, cooking classes, and sunset boat trips. 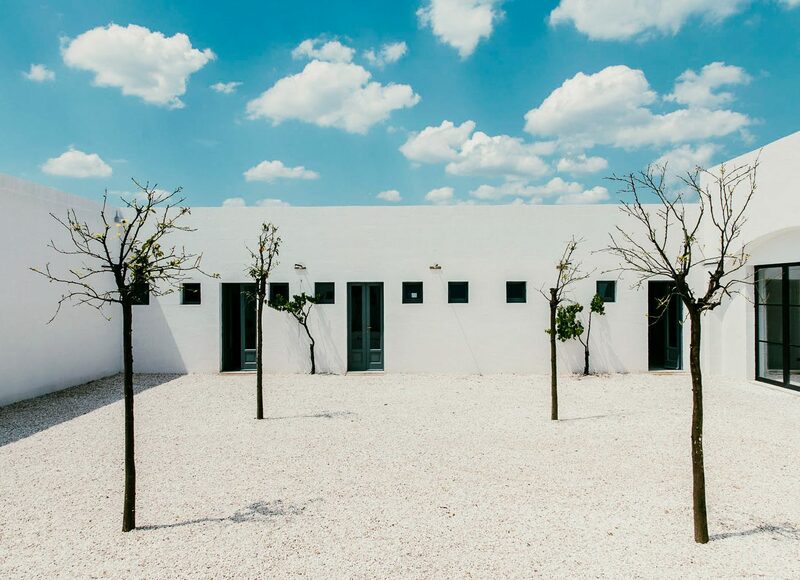 This trulli farmhouse updates the ambiance of a classic rural village with minimalistic style to create a luxurious boutique property. 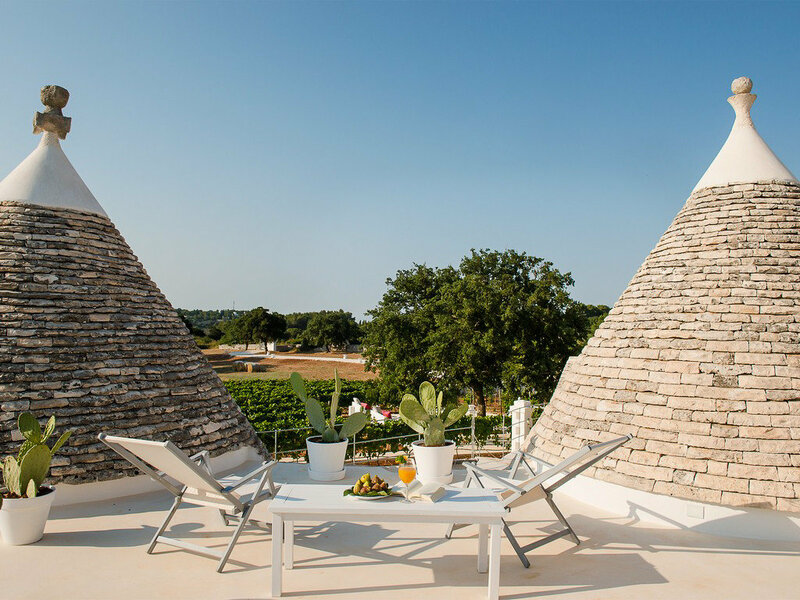 Once a country monastery known as Masseria San Francesco, today, Nina Trulli Resort is comprised of 11 trulli cones, vineyard rows stretching to the horizon, and an orchard rich with mandarin, lemon, plum, pear, and cherry trees and a garden of local vegetables. With just six rooms, the property is really a small stone village, complete with an ancient oak tree lending shade to the outdoor pool. 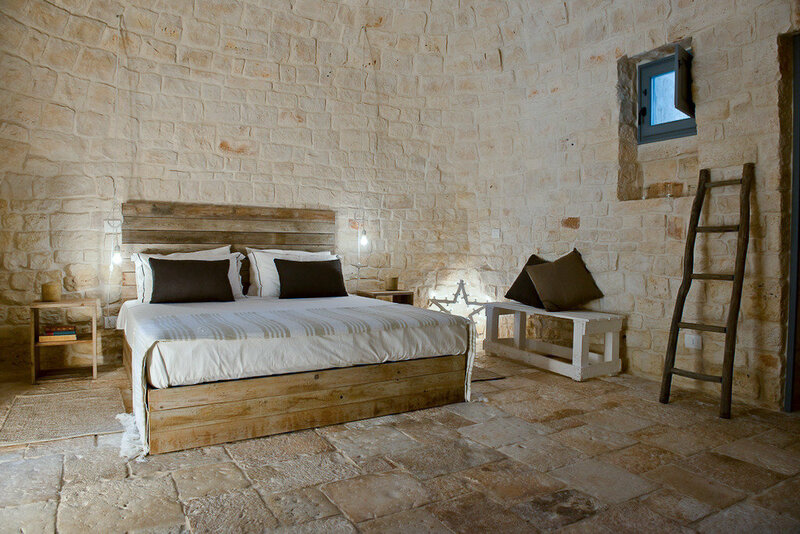 During the renovation process, many architectural details were left intact, including the smoked walls of the ancient trullo oven and original wood beams in a room where the first owners once aged cheese.